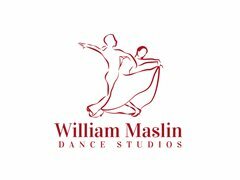 William Maslin Dance Studios are passionate about social dancing. We want everyone to feel comfortable and confident on the dance floor. We provide tailored and structured learning programs for adults in our American Smooth and Rhythm syllabus. Our teaching method is focused on private lessons which are supported by group classes. Our culture is professional, friendly and fun. We support continuous professional development for our staff, and we facilitate opportunities for learning and knowledge sharing. Our modern studio has a warm and inviting feeling, perfect for dancers who want to attend our many socials and events. We are looking for experienced male dancers, preferably with 1 year of teaching experience in ballroom and Latin dancing. participating in WMDS events including socials, promotional events and others. - your passion to teach dance. DSA, DVIDA, USISTD, AMI or reputable dance association certification/accreditation. Don't have 1 year teaching experience? Don't worry. If you feel your overall dance experience will make up for it, please apply. We know you will work hard for us, so we will return the favour. - We offer above the award fortnightly remuneration plus superannuation and leave loading, with the ability to progress through our salary structure. - Your well being is very important to us, so we offer 5 weeks paid annual leave, plus complimentary Yoga and Pilates classes within the studio. - We will also pay you when you undertake your initial training with us. - We also offer other benefits to advance your dance career in line with our Training and Professional Development Policy, which may include paid time to prepare for outside competitions. Excited? So are we! Apply today. Acting role for Stage Show "Watch Me Dance"